The Daily Signal posted an article today about President Trump’s plan to reform healthcare (which obviously starts with the removal of ObamaCare). We can do better at healthcare. Either one of these proposals would be a great start. What Does This Say About Our Values? I am strongly pro-life. I believe that the only time an abortion should be performed is when the pregnancy presents a physical threat to the mother. Those instances are rare and could easily be dealt with in a hospital. Those instances would also not result in a multi-million-dollar abortion industry. Yesterday The Washington Examiner reported that the Democrats had blocked a vote on a bill called the Born-Alive Abortion Survivors Protection Act (S.311). Because of Senate rules, a bill needs 60 votes in order to be brought to the floor to be voted on (that is based on the idea of a filibuster except people no longer stand up and talk for hours). Republican Ben Sasse wanted a vote on S.311, but there were only 53 Senators in favor of voting for the measure (translated loosely that means that there were only 53 Senators willing to go on the record on treating infants who survive abortions). The bill was not perfect. There were some things I would have been very uncomfortable with–I don’t like the idea of doctors being sued or arrested for actions taken in the operating room. However, it seems strange to me that people would be more likely to help a puppy found on the side of the road than a baby who survived and abortion attempt. Most Republicans voted for a vote on the bill. A few Democrats voted for a vote. In view of recent statements by the Governor of Virginia and the Governor of New York on abortion, some form of this bill is probably necessary. I hope we will see some form of the bill pass in the future. However, it is a sad commentary on our society that a stranded puppy would be more likely to receive care than an aborted baby. On February 15th The Washington Examiner posted an article with the following headline: “‘Medicare for All’ would require obesity laws.” I wonder if the few Americans who actually support the idea of ‘Medicare for All’ understand that would be part of the deal (along with drastic increases in taxes, long waits for medical care, and a reduction in the quality and quantity of medical care available). At 36.2 percent, the American obesity rate is the 12th-highest in the world and first among OECD countries. Of every European nation with universal healthcare, only the United Kingdom (27.8 percent) and Hungary (26.4 percent) come within 10 percent of the American obesity rate. In Germany, France, Portugal, and Sweden, the national obesity rates are 22.3 percent, 21.6 percent, 20.8 percent, and 20.6 percent respectively. And in Denmark and Italy, fewer than 20 percent of people are obese. Like it or not, we live in a country where ordering a salad at a fast food place often costs more than ordering something less healthy. Unless Americans are willing to change their eating habits significantly, Medicare for All would be a disaster. The country under single-payer will make former Mayor Michael Bloomberg’s soda taxes and food-nannying look like child’s play. Everything from your sugar consumption to your alcohol would become a matter of public regulation, and the public would not only have the power but also the moral right to regulate how people live. Of the 2.6 million deaths in the U.S. per year, 300,000 are caused by obesity. It’s one of the single greatest drivers of avoidable healthcare spending, costing the country around $200 billion annually. Progressives may call this fat-shaming. But it’s really just public health and economics. Keep your hands off my Bo-Jangles! Remember when the Democrats told us that ObamaCare was not a step in the direction of government-controlled single-payer healthcare? Well, that statement is now inoperative. House Budget Committee Chairman John Yarmuth, D-Ky., has asked the Congressional Budget Office to analyze the effects of shifting all healthcare costs onto the federal government, a first step toward the “Medicare for all” legislation sought by progressives. …Yarmuth said in a statement that his request for the score is aimed to inform House hearings on “single payer,” proposals. Such hearings would be the first step in the process toward passing legislation enacting single payer systems, a top goal pursued by progressives like Sen. Bernie Sanders, I-Vt., and Rep. Alexandria Ocasio-Cortez, D-N.Y. The study concluded that overall spending, not just government spending, would be $2 trillion less compared to where spending is projected under the current healthcare system, but that would come mostly through cutting payments that hospitals and other providers were getting from private insurance by about 40 percent. Higher taxes may be under consideration to have Medicare payments align more closely with those of private insurers. Sen. John Barrasso, R-Wyo., had asked CBO to score the Medicare for All Act introduced by Sanders. In taking up various requests, CBO analysts tend to focus on bills that are closer to passage. Britain has single-payer health care. In March 2017, The Daily Wire posted an article about the problems with the British health care system. “Pressure on all services is rising and care is increasingly being rationed. Waiting lists should not be rising, and yet they are,” said Mark Porter, council chair of the British Medical Association (BMA). …A study conducted by the London School of Hygiene and Tropical Medicine concluded that around 750 patients a month – one in 28 – pass away due to subpar quality of care, which includes “inattentive monitoring of the patient’s condition, doctors making the wrong diagnosis, or patients being prescribed the wrong medicine.” In other words, patients needlessly die as a result of the incompetence of the NHS. For example, in January an elderly woman died from cardiac arrest after waiting 35 hours on a trolley because there was a shortage in hospital beds. A 73-year-old man also died from an aneurysm in the same hospital as he languished in the waiting room. Please follow the link above to read the entire article. Note that single-payer health care is government-controlled. Do you really want the government controlling your health care? One of the mixed blessings about the way ObamaCare was passed was the fact that it was an unread law passed strictly along party lines (Democratic Party) and then filled in by Executive Order and orders from the Health and Human Services Department. Many of the mandates and other parts of ObamaCare were not written into the law, but came later. One of the advantages of that fact is that what was put in place by Executive Order can be taken away by Executive Order. Since the Republicans in Congress have broken their promise to the voters to repeal ObamaCare, President Trump is taking it apart piece by piece. President Donald Trump plans to sign an executive order later this week that would allow people to pool together and purchase group insurance plans, according to The New York Times. Association health plans allow groups such as community organizations, churches or professional associations to purchase health plans together. Many insurance companies oppose this kind of pooled purchase, as they argue the plans take healthy patients out of the individual markets. The executive order is the first step in President Trump’s plan to issue another directive that would allow people to purchase insurance across state lines, though it is still unclear if he has the authority to do so. Letting the free market reign in health insurance is a giant step back to sanity. Health insurance companies are in business to make a profit, which they are entitled to, and they use actuary tables to calculate those projected profits. If you bring back competition, they will have to compete with each other in the area of pricing, and all Americans will benefit. This is a big step toward making health insurance affordable for everyone. The less the government is involved in health insurance and healthcare, the better it is for all of us. Let’s get the government out of health insurance. If It’s Not About Money, Exactly What Is It About? We have all heard the story of little Charlie Gard who is in the hospital in Britain suffering from mitochondrial depletion syndrome, a rare genetic disorder that causes brain damage and prevents muscles from developing. His parents want to remove him from the hospital and seek treatment in America. The hospital (under the British healthcare system) wants to let him ‘die with dignity.’ The parents have offers of medical treatment and care from the Vatican and from medical facilities in America. The parents evidently have the financial means to get him where he needs to be to receive the treatment. Taking him from the hospital where he currently is creates no financial burden for the hospital. So why won’t the hospital let the parents take Charlie Gard out of the hospital? To me, that is the million dollar question. The American Thinker posted an article today about the impact of single-payer socialized health care on innovation and alternative medicine. The article reminds us that the passage of ObamaCare in 2009 helped establish the idea that health care is a right. The day after the Obamacare vote, the senior member of the House of Representatives, Rep. John Dingell (D-MI), a strong supporter of government-run health care since he first got elected to the Congress in the mid-1950s, appeared as a guest on a local Detroit radio program. I learned about the Dingell interview courtesy of someone in Detroit who heard the broadcast and posted a comment about it at a blog that I stumbled upon. After some research, I was able to identify the Detroit talk show — it was the Paul W. Smith program on radio station WJR — and locate an audio file of the Dingell segment on WJR’s Web site before it scrolled offline. The harsh fact of the matter is when you’re going to pass legislation that will cover 300 [million] American people in different ways it takes a long time to do the necessary administrative steps that have to be taken to put the legislation together to control the people. As I previously noted, the hospital in Britain has no financial interest in keeping Charlie Gard as a patient until he dies–in fact, that is probably against their financial interest. It would seem that ‘control’ might be the only obvious reason for their policy–they don’t want to allow Charlie’s parents to control the medical care their child receives. Nationalized mandated health care has always been a goal of the collectivist, statist, communist model of governance. Socialized health care is the single biggest factor in transforming the relationship of the individual to the state. It remains to be seen if a new effort by the parents to appeal the court’s decision will prevail. In the meantime, the case illustrates several points. In a socialized, single-payer medical system like the one that has been in place in the UK since the NHS was mandated in 1948, the patient — or in this case, his parents — is not in control; the medical bureaucrats under the color of law have the final say over one’s life and death. It is also noteworthy that innovative options that might help a patient like Charlie are emanating not from Britain — where socialism and the NHS have hindered medical innovation and impaired successful treatment outcomes — but from the United States, where the practice of medicine has yet to fall under the complete and suffocating yoke of socialism. We are at a crossroads right now in America. We have a choice. Are we going to be the country envisioned by our Founding Fathers that was a beacon of freedom to the world or are we going to trade our freedom for government control sold to us under the guise of benefits. If the Republicans do not repeal ObamaCare, we can expect to see cases like Charlie Gard begin to appear in America. Yesterday the Independent Journal Review posted an article about some of the lies we are being told about the current healthcare bill. I don’t support the current bill, but I resent the fact that lies are being used in an attempt to discredit it. The current repeal and replace bill is a bad bill. ObamaCare needs to be fully repealed and the government needs to get out of health insurance. Let the people who understand actuary tables run healthcare. The only provision the government needs to make is to insure that high-risk pools are set up (and made affordable) for the people that need them. Healthcare should be available across state lines, tort reform is needed, and tax credits given to lower-income families to help pay for insurance. Otherwise, the government needs to let the free market to work. Yesterday Investors.com posted a story about what the repeal of ObamaCare will actually mean. The story separates the lies we are being told from the actual truth. Repealing ObamaCare will not add 20 million to the number of people without health insurance. Repealing ObamaCare will not increase the deficit–leaving it in place with significantly increase the deficit in coming years. Repealing ObamaCare will not mean that people with pre-existing conditions cannot get health insurance–the replacement plans being considered will have a place a way to cover pre-existing conditions. Repealing ObamaCare will not increase health costs. The article points out that the rate of increase in premiums for employer-provided insurance had also slowed before ObamaCare took effect. The shift in the employer market toward Health Savings Account plans — which Democrats hate — is largely responsible for that. The claim that the voters do not want ObamaCare repealed is also false. The passage of ObamaCare strictly along Democratic Party lines lead to the loss of the House of Representatives by the Democrats in 2010, the loss of the Senate by the Democrats in 2014, and the loss of the Presidency by the Democrats in 2016. Please follow the link above to read the details of the above points. We need healthcare to be allowed to function under a free-market system with as little interference from the government as possible. That will provide the most cost-efficient and most available healthcare for everyone. One of the main things that makes the difference in the Texas health insurance premiums is the law passed on Texas regarding medical lawsuits. Perry’s most significant achievement on health care was a successful 2003 attempt to convince voters, over the determined opposition of trial lawyers, to amend the Texas Constitution to cap non-economic medical malpractice damages at $250,000 from a physician and $500,000 from hospitals and other providers: an issue that most physicians believe is at the heart of what drives wasteful health spending. The article also points out some of the other factors involved in Governor Perry’s successful healthcare reform in Texas–the legislature Governor Perry was dealing with in Texas was made up of conservative Republicans, when Romneycare was passed in Massachusetts, Governor Romney was dealing with a liberal Democrat legislature. 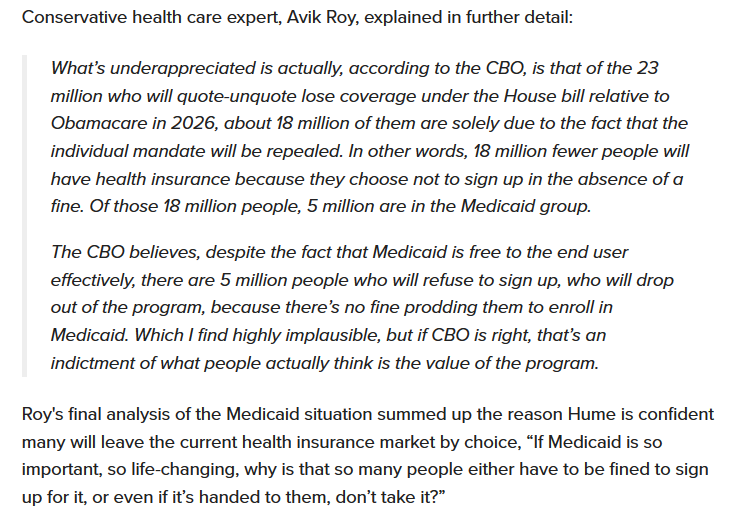 Governor Romney probably prevented Romneycare from being even worse than it is. The other thing to consider is that generally the cost of living in Massachusetts is higher than the cost of living in Texas. The article cites a CNBC survey that ranks Texas eighth-best, and Massachusetts ninth-worst, for cost of living. I think the chart above is one of the best arguments for tort reform that I have seen. Please follow the link to the article at Yahoo News–there is a lot of good information there and also a few very illustrative charts. As I said at the top, who you favor between Romney and Perry will depend in large part upon what your priorities are in health care policy. My personal view is that universal coverage is meaningless, if the ultimate consequence of universal coverage is that people can’t afford, or gain access to, basic health care. It is Rick Perry’s Texas that has done more to keep the growth of health costs down, and we should spend more time drawing lessons from his Lone Star State. Governor Romney is a very nice man. I think he did a reasonable job as governor of Massachusetts, but I for one am ready for a Rick Perry in the White House.